The war against plastic: get on the program! The war against plastic, particularly against single-use plastic, is intensifying: a report by Global|WebIndex says David Attenborough’s Netflix documentary “Blue Planet II” has prompted a 53% drop in the consumption of single-use plastics in some markets, which while difficult to confirm, suggests awareness of the issue is growing. 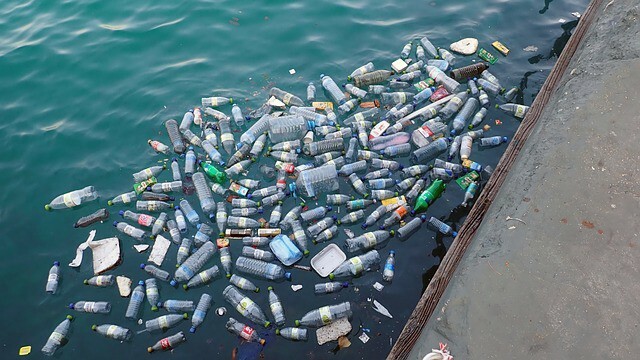 Meanwhile, the European Union says it will ban single-use plastics from 2021 and companies like Nestlé have committed to removing it from their packaging by 2025, while others have undertaken a range of reusable packaging initiatives. Cruise companies such as MSC or airlines such as Portugal’s Hi Fly have banned them completely. Meanwhile scientists are working on alternatives using natural and biodegradable materials. We may be witnessing the beginnings of a recycling revolution, but we still need to spread awareness. Younger people seem more aware than their parents and grandparents about the problem and many are prepared to pay more for sustainability, but this is a complex issue and plastic will prove a tough enemy to beat: Estimates suggest just 9% of plastics are recycled, 12% are incinerated, and the rest is dumped in landfills or ends up in rivers and the sea. Last year, China, which had developed a huge global recycling industry, said it had stopped accepting garbage from other countries, meaning that many countries with no alternatives turned to incineration or landfills. The recent drastic measures to reduce single-use plastic consumption seem to be working: a ban in shops on plastic bags or payment, initially criticized, means that plastic bottles, food wrappers and cigarette butts are now the biggest threats to our environment. At root, this is about changing our habits: getting used to carrying reusable bags in the trunk of the car or when we go shopping and pressuring manufacturers to opt for sustainable packaging alternatives. For brands, this is an opportunity for differentiation and demonstration of corporate social responsibility. The arrival of plastic in the second half of the nineteenth century and its mass use after the first world war enabled the manufacture of many objects of daily use and it became a very important industry. But we now need to eliminate it, starting with single-use plastics, and create a circular economy, in which the vast majority of plastic is recycled. This means changes to how we consume, from packaging to fashion. Brands that still haven’t grasped the scale of the coming change need to get on the program, fast.